"Forget Pickle Rick, all hail Toxic Rick!" Before its broadcast, Rick and Morty co-creator Justin Roiland stated on Twitter that "Rest and Ricklaxation" was his favorite episode of Season 3 and one of the characters has become popular with fans. After a 20-minute adventure turns into a six-day re-enactment of Star Wars, Rick and Morty have a mental breakdown and decide they need to relax at an alien day spa. At the spa, the pair go into a machine that extracts all their toxins, but the toxins become the living embodiment of all of Rick and Morty's worst characteristics and Toxic Rick seeks to get out of the alien toxin machine. The fan base has already fallen in love with Healthy Morty, the happy-go-lucky, self-confident version of the teenager, free from his neurosis. There are three videos on YouTube looking at the rise and fall of Healthy Morty and the Facebook fan groups have made memes about the character. However, I thought Healthy Morty was an irritating douche who deserved a good slap. 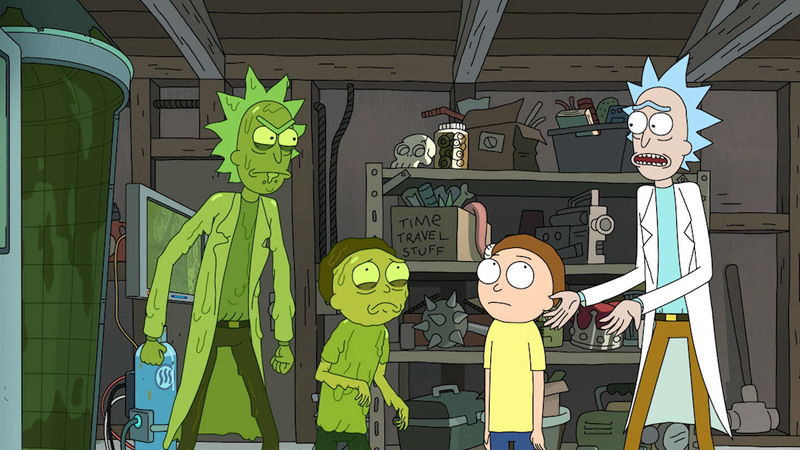 I preferred Toxic Rick, a snot covered version of Rick who has the scientist's aggression and narcissism, and because of it, swears like a sailor. I have been critical that Season 3 had been too reliant on swearing for an easy joke. Yet the swearing works with Toxic Rick because it is so excessive and inventive that I couldn't help but laugh. Fans of the show know of Rick's nihilism. "Rest and Ricklaxation" flips this with Healthy Rick having a more gentle persona, stating that he believes all life has a right to exist even if it's evil. Yet when the episode reveals its big twist, it was reminiscent of an episode of The Simpsons when Lisa Simpson saw Mr. Burns make a giant net out of six pack holders. As Lisa says, "You're still evil, and when you're trying to be good you're even more evil" and that is a great way to describe Healthy Rick. Rick and Morty normally has moments where actors are allowed to ad-lib and this is possibly why Roiland likes this episode so much- because he got to ad-lib more than usual. Ad-libbing can be hit and miss, but for the most part the exchanges are funny. The highlights are Rick and Morty's break down in the pre-credits sequence and every time Toxic Rick is let off the leash. The breakdown sequence is even more impressive because Roiland voices both characters, so he would have had to record their dialogue separately and the sound editor had to bend it together. A weaker moment of ad-libbing was Morty's date with Jessica where he pretty much says any thought in his head. It was not funny and dead air may as well have played in its place. As well as the verbal jokes, "Rest and Ricklaxation" also had a lot of visual humor. Healthy Rick and Toxic Rick have a huge fight which results in them destroying the Smith house (their insurance premiums must be through the roof) and the pair getting naked. Toxic Rick turned the whole world toxic and there are quick flashes of how it affected the world - including a jab against Sbarro (although it is a joke that only really works for American audiences) and a dark joke involving children, just like in last week's episode. 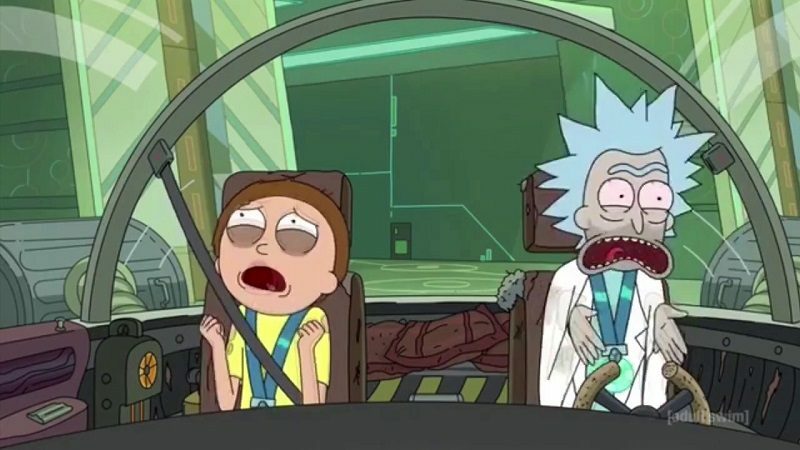 When the world is toxic "Rest and Ricklaxation" also takes a quick swipe against religion but it is much less subtle than it was in "Get Schwifty." But it is still hilarious. "Rest and Ricklaxation" is not up to the standard that Roiland personally holds for it but it is still a funny episode thanks to Toxic Rick and his vulgarity, along with his strangely touching end. The material involving Healthy Morty is not as humorous as the show thinks it is and he only works when he is with older women.